Fetti is a mother of three children and a treasure chest of ancient Persian recipes and is passionate to share these unknown delicious culinary expreiences with Torontonians. Ingredients: reshteh (thin noodles), kashk (a whey-like, fermented dairy product), parsley, spinach, dill, coriander, chick peas, black eye beans, lentils, onions, flour, dried mint, garlic, oil, salt and pepper. 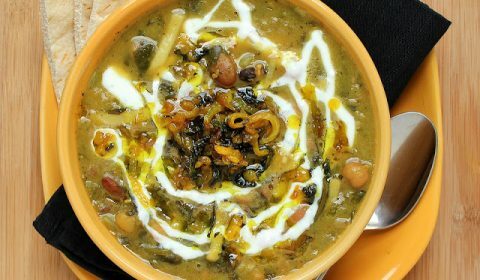 Description: Ash reshteh is a type of āsh (thick soup) featuring reshteh and kashk. There are more than 50 types of thick soup (āsh) in Iranian cooking, this being one of the more popular types. Traditional Ash reshteh is served at special Iranian events, like Nowruz, Sizdah be-dar or during winter time. 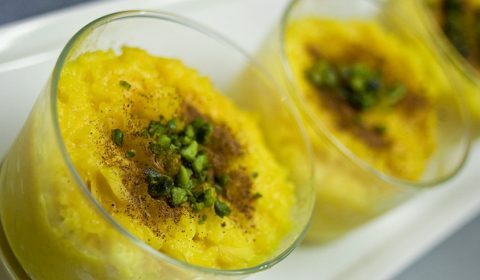 Description: A traditional Iranian rice (Polo) and lentil is cooked with a crusty, delicious layer of rice on the bottom. 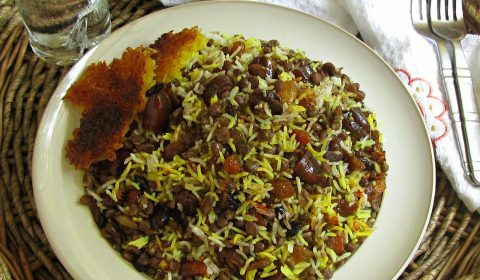 The saffron-scented rice and lentils are garnished with raisin and chopped dates. A very healthy dish which is very tasty with yogurt. 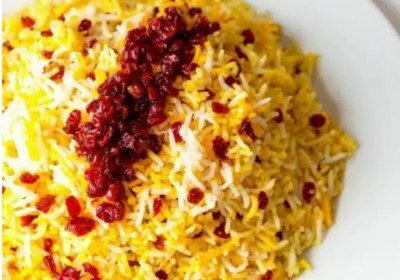 Description: A traditional Iranian rice (Polo) and barberry is cooked with a crusty, delicious layer of rice on the bottom. The saffron-scented rice is garnished with delicious barberries. A very healthy dish which is very tasty with barbecued chicken. 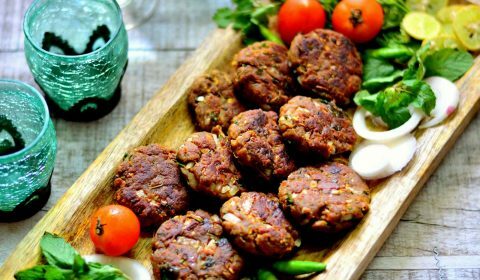 Description: Shaami kabab is a popular dish which is made with a small patty of minced with ground chickpeas, egg to hold it together, and rich mix of spices and pomegranate sauce. 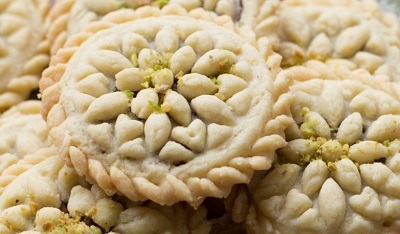 Description: Sholezard is a popular Iranian traditional dessert. It is traditionally served during festivals such as Nowruz and Tirgan, as well as Ramadan. Description: Kolompeh is a Persian pastry baked in ancient city of Kerman located in east of Iran. Traditionally, it was baked at home by women using local oils, dates from Kerman date palms. Kolompeh looks like a pie with a mixture of minced dates with cardamom powder and other flavoring inside.